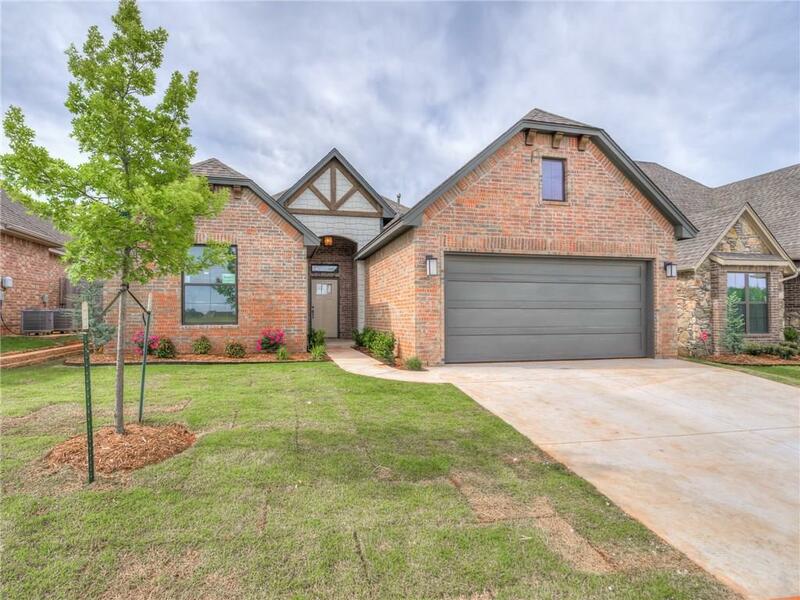 The beautiful Montereau community harbors a delightful out of town feeling, while maintaining quick accessibility to OKC! 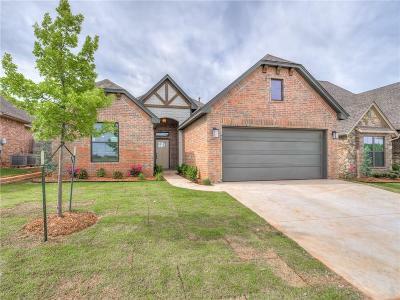 This well appointed property under construction offers all of the NEW home goodies you really want: tons of cabinets and storage space, high end built-in appliances, great pantry space, designer fixtures and hardware, captivating color palettes, and a construction quality that's hard to beat. This "open concept" floorplan provides a comfortable flow from the kitchen, living room and dining area so that family and guests alike can enjoy gathering in the heart of the home. The master suite is everything you need to relax and let go at the end of a long day - a large soaker tub, a well designed tile and glass shower, and an over-sized vanity to accommodate all the gadgets and products we need to pamper ourselves in our own at-home retreat! Don't forget the covered patio for the best in outdoor living. This home will make a lasting first impression. Welcome Home!